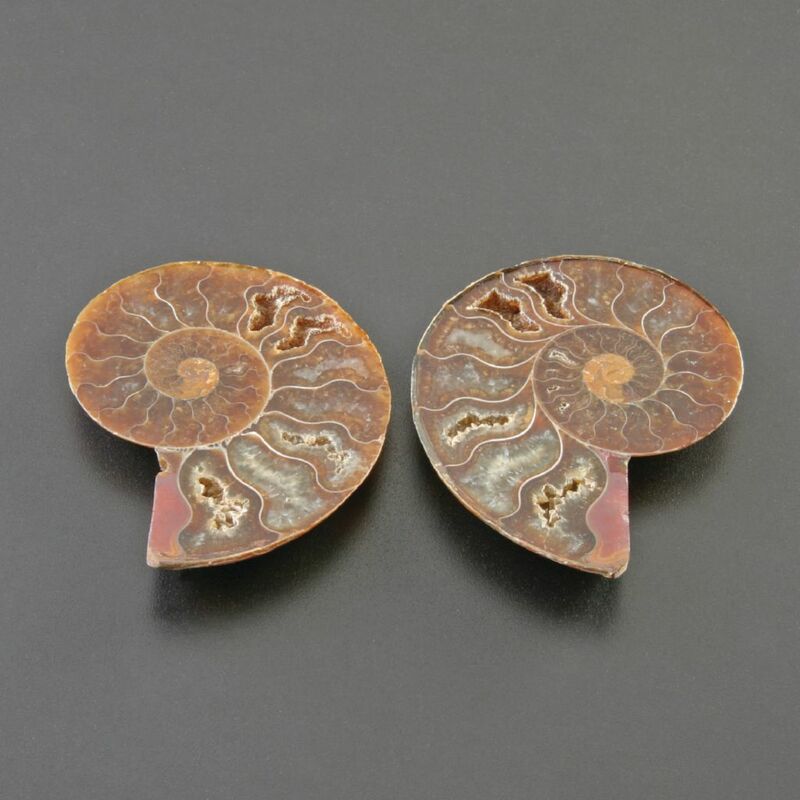 Beautifully cut and polished ammonites, with matching halves, show the internal chambers and remarkable symmetry of these ancient cephalopods. 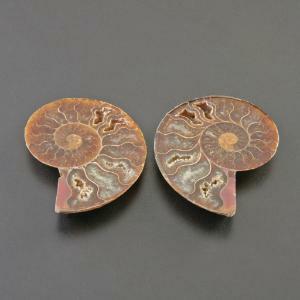 Average size: 2" - 2 1/2" diameter. Madagascar.